The British Racing Drivers’ Club (BRDC) is delighted to announce the appointment of Gillian Carr as its new Club Secretary. Gillian takes over from Stuart Pringle who, after eight years in the role, has taken up the newly created position of Sporting Director at Silverstone Circuits Ltd, a wholly owned subsidiary of the BRDC. 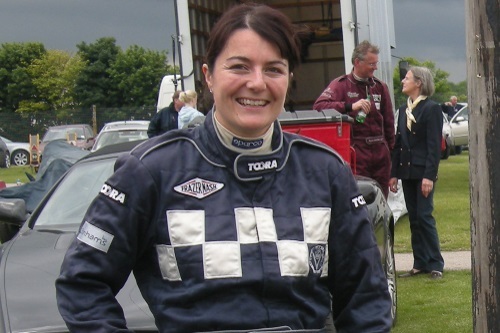 Gillian, who is currently Publicity, Development and Marketing Manager at the Historic Grand Prix Cars Association, has a wealth of experience in private members’ clubs including senior roles at the Vintage Sports-Car Club. In more recent times, she has run her own public relations and event management agency which has extended her contacts with modern motor sport and clients beyond the motor racing sector. Gillian, an active competitor herself, commented, “I have always regarded the BRDC as the pinnacle organisation in British motor racing and the key custodian of British activities in the international arena. It is a true honour to be joining this unique and illustrious Club, particularly at this exciting time for Silverstone, and I look forward to serving the membership”. BRDC Chairman, John Grant added “I am delighted that Gillian has agreed to join the BRDC as its eleventh Club Secretary. She brings to our Club comprehensive experience in motor sport covering organisation, sponsorship, public relations and competition. She is perfectly placed to lead the excellent work of our Club staff over the coming years”.